The Born cabin, the first cabin to arrive at the village, came from the Leland area. With the exception of the roof, much of the cabin was moved intact. This cabin is constructed using classic dove-tailing at the corners. This style of construction, said to be brought over by German, Scandinavian, and Scotch-Irish settlers, can be found throughout our log village, the Midwest, and Eastern settlements of the United States. Did you know that "cabins" are considered to be built of round logs; whereas, "houses" were made from hewn logs? 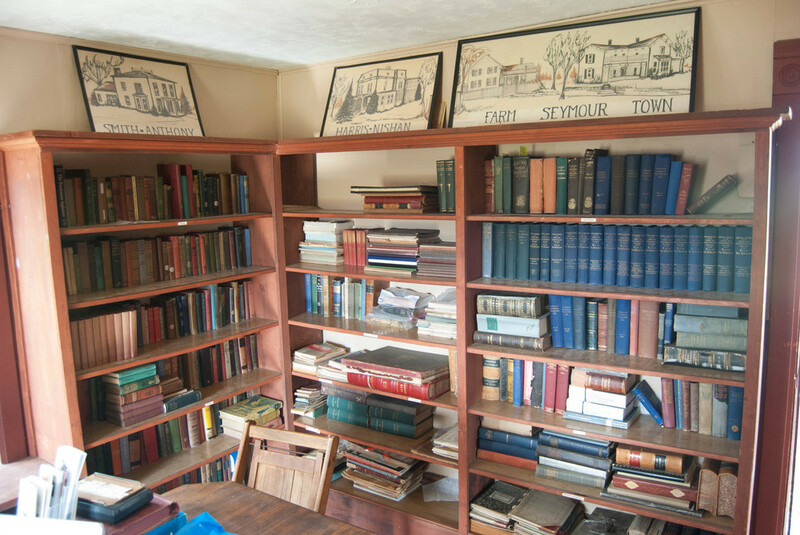 This cabin is the village library, housing an extensive collection of journals, log books, census records, and phone books. Visitors also find records from area businesses, family scrapbooks, and photographs. 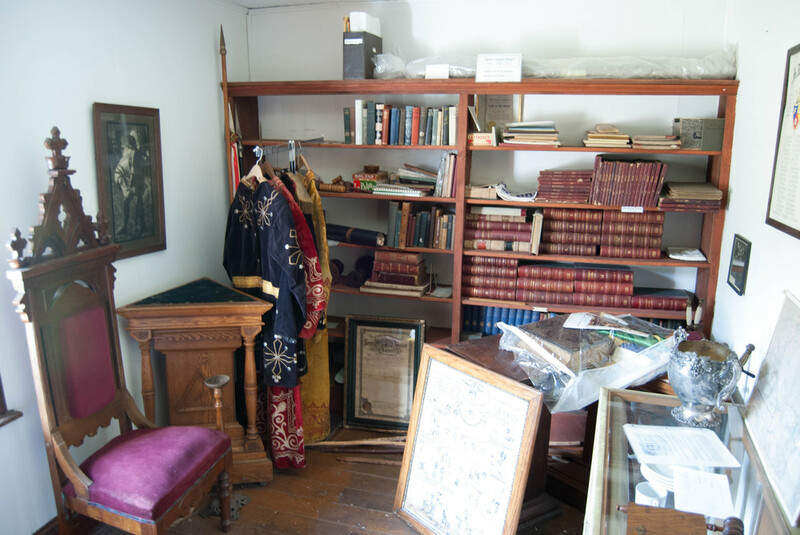 Also on display in the side room of the library is a collection of items used by the Knights of Pythias, a fraternal organization founded in 1864 by Justus Henry Rathbone. The local society formed in 1898, carrying on charitable works and placing great emphasis on high moral standards. The collection includes ceremonial robes, banners, and furniture. Changes to come in 2019 with this cabin. The Reedsburg Area Historical Society needs to do some repairs on this cabin and plans on making this cabin to represent a cabin in which people would have lived.